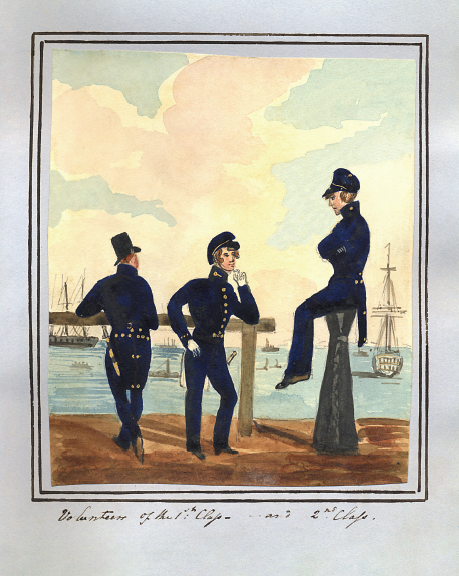 These illustrations from the trust’s archive were painted in 1834 in the reign of William IV and three years before Queen Victoria came to the throne. 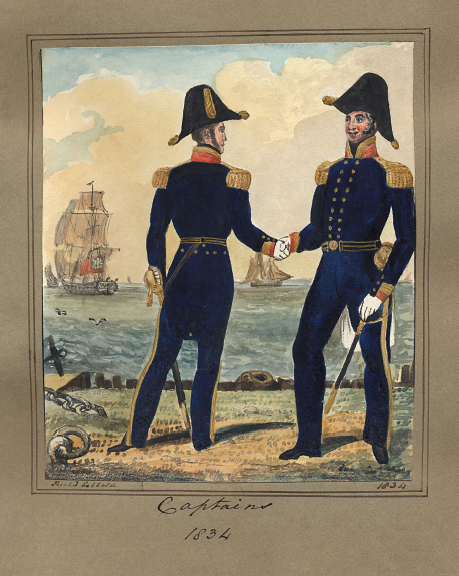 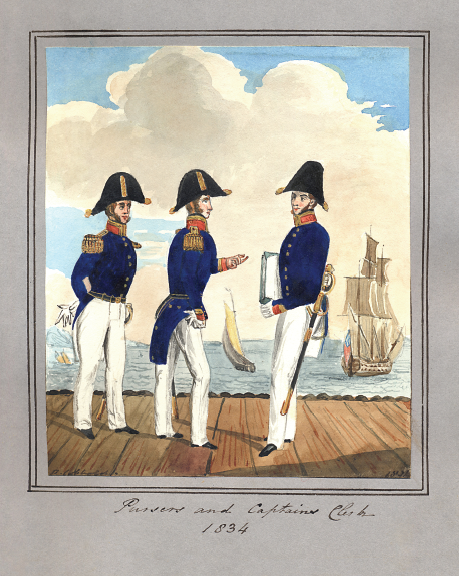 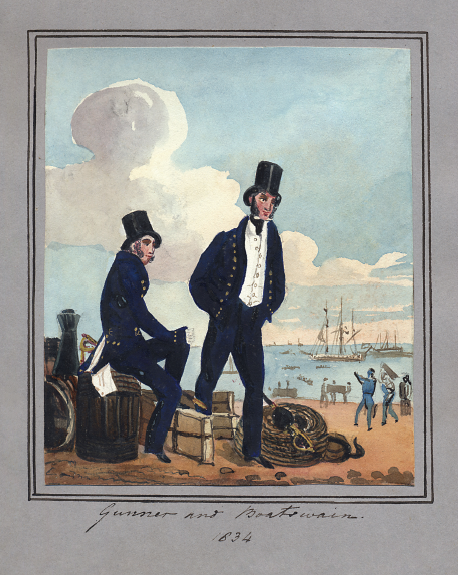 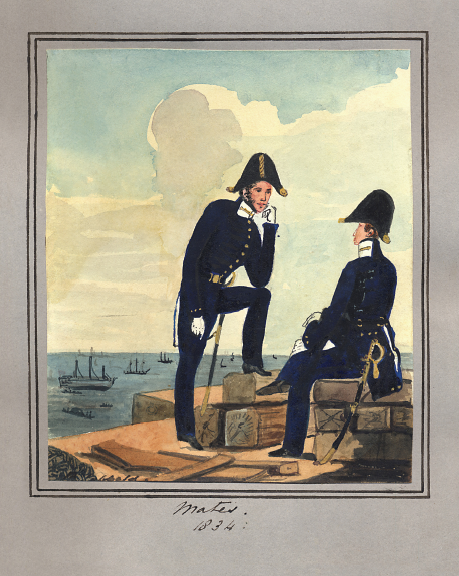 They are undoubtedly accurate contemporary representations of Royal Navy and Royal Marine uniforms and show a clear grasp of detail. 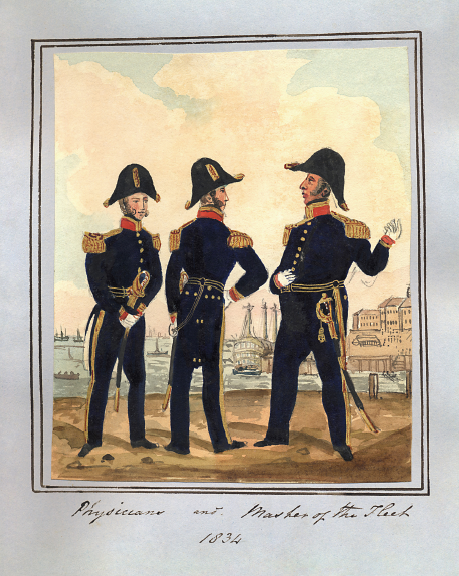 It is thought they were executed at Harwich. 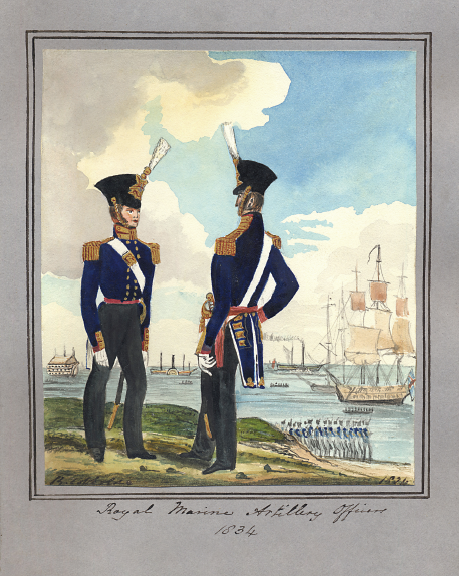 The scarlet facings on the collars and cuffs within the gold lace of the naval uniforms were introduced by William, the ‘Sailor King’ in 1830 and survived until 1843. 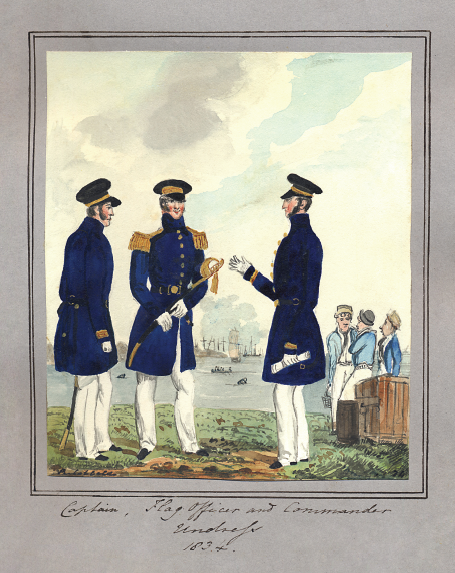 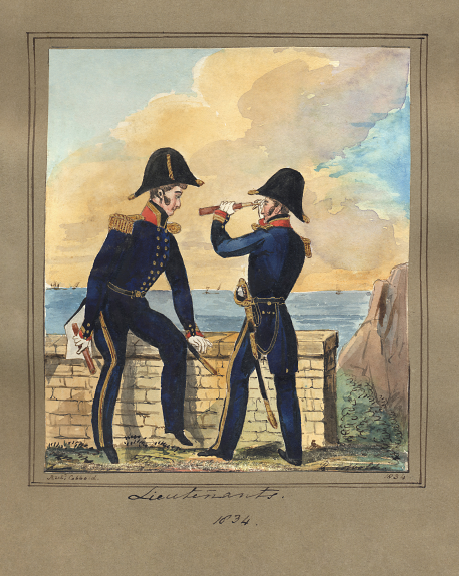 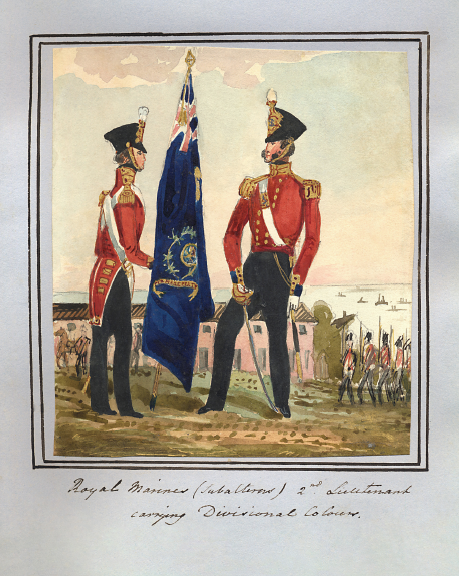 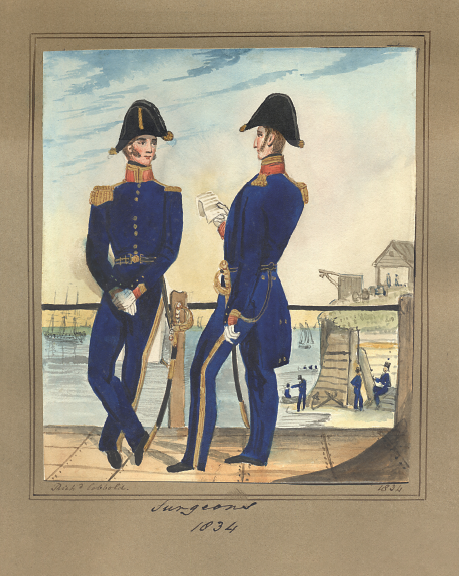 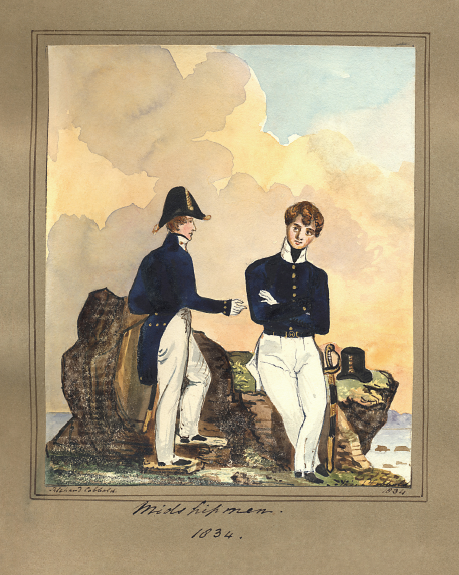 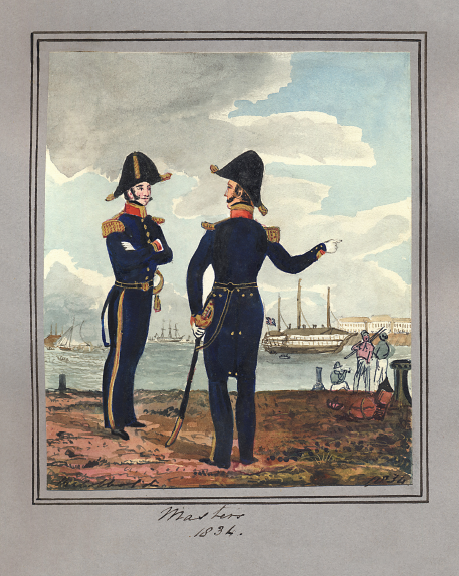 It was then that Queen Victoria insisted on restoring the Georgian white facings to the uniforms of the officers serving in her much loved Royal Navy. 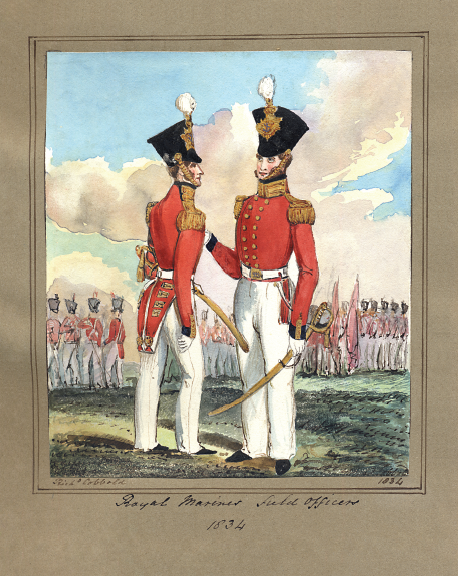 The marks of rank on the sleeves are displayed accurately for the period. 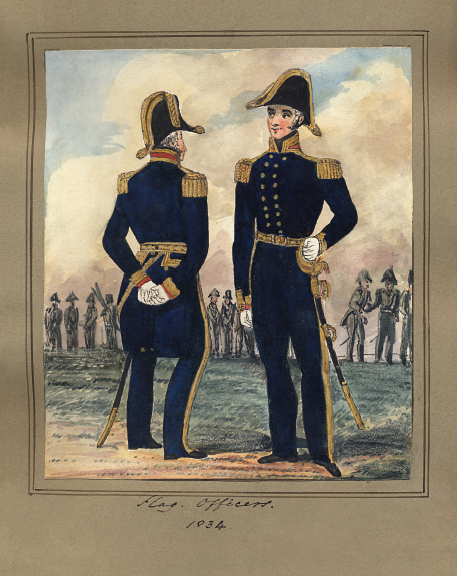 It was not until 1856 that the rank system in use today was introduced with its ‘executive curl’ included in the uppermost gold stripe.